The event, which took place at Kumasi Hive, began with a youth leaders’ forum followed by a full presentation session. The goal of the discussions was to nurture a growth mindset on the power and potential of good ethical leadership in creating prosperity for Africa by Africans. Below are some of the key ideas highlighted in her address. Lucy Quist shared that, according to the 2017 Edelman Trust Barometer, the world is in a leadership crisis; 53% of people in the world believe leaders will not fix problems, indicating that a significant number of people do not trust leaders. Corruption, globalization and eroding social values are top three concerns of people. Out of these concerns, two are linked to the human value systems, indicating how vital good human values are to leadership. She posited that ethical leadership is what will earn trust and, particularly, harness Africa’s resources to create prosperity. Lucy Quist went on to share her thoughts on the roles of various players when it comes to developing a country. Lucy Quist explained. She challenged the expectation that government leaders must solve every problem in our societies. She challenged her audience to see themselves as the ones to create the development they seek. Before delving into the nitty-gritties of how young Africans can contribute to development, Lucy asked young people to redefine who the African Millennial is. By doing so young people will begin to appreciate their importance in the African development agenda. They will have a clearer understanding of their world to be able to provide relevant solutions for the creation of their own prosperity. Lucy Quist shared key areas where African millennials can lead and bring change: entrepreneurship and technology. “Africa needs your youthful zeal, energy and innovation to create and run sustainable businesses that will provide relevant solutions”. She set three outcomes for creating successful businesses that create prosperity; generating wealth beyond the founder, crossing national boundaries and surviving generations. She clarified that entrepreneurship is not only required when creating one’s own business but it is also key in running and growing already established businesses. She also hammered on the importance of creating generational wealth for the benefit of future generations. Lucy argued that generational wealth is a great way of sustaining development. Rather than building businesses or solutions which die within one generation, generational wealth creation will set the foundation for future generations to build on and benefit from inherited businesses that they can build on. This ensures sustained development. 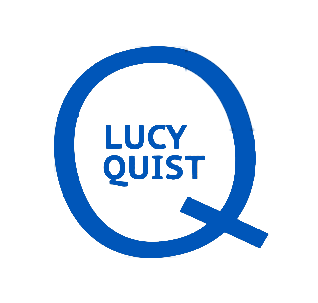 “We don’t have enough makers” is what Lucy said as she challenged her young audience to also lead in technology and industry. She advised that it is not enough for Africans to have access to today’s technology, Africans must also create technology that addresses our unique problems. With the right technology, created by Africans for Africa, Africans can leapfrog their development. Lucy concluded her session by encouraging networking, excellence, consistency and ethical behaviour in young African leaders. Kumasi is one of Ghana’s vibrant destinations for entrepreneurship and innovation. It is a growing hub of young people using technology, innovation and business to solve problems and contribute to the growth of their communities. It also has several thriving youth groups and youth leaders who are constantly working to make impacts in their communities. It is for this reason that Lucy Quist partnered the Global Shapers Community, Kumasi Hub to meet and interact with the entrepreneurs, innovators, youth leaders and students of Kumasi.